There have always been at least two Destinys. There’s the Destiny that most people play, where you fly around the galaxy with your friends, blowing up aliens and carefully managing your vault space. 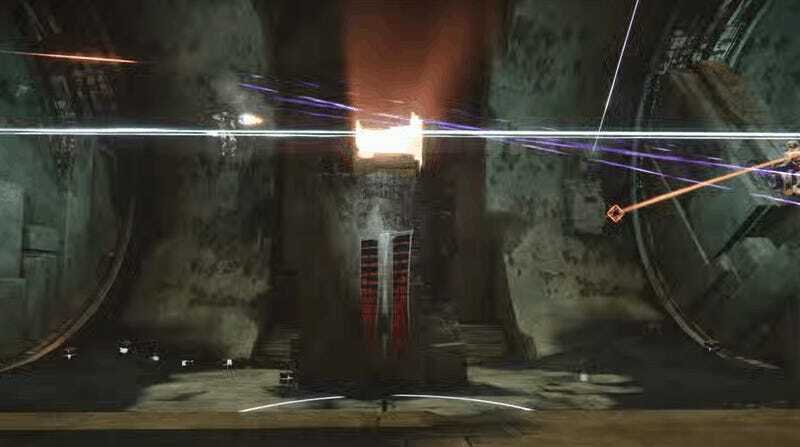 Then there’s competitive Destiny, where players go headshot-to-headshot to see who’s deadliest. I avoided Destiny’s competitive Crucible for most of my first year with the game. I was content to do PvE (player vs. environment) strikes and raids, and I had been turned off by the fast-paced brutality of PvP (player vs. player) matches. That changed when Bungie launched the Trials of Osiris tournament in May of 2015. I became obsessed with the merciless weekend competition. I became a Crucible die-hard. This piece originally appeared 10/27/16. That being said, I’m no Crucible expert. I get the sense that Destiny PvP is approaching a turning point, but I’ve never been competitive on a level that lets me see the bigger picture. To get some additional perspectives, I reached out to some of my favorite YouTubers and streamers. I hit up Ari “TripleWRECK” Smith, a laid-back streamer who consistently surprises me with his ability to beat the odds in the clutch; Christian “Mr. Fruit” Miller, whose YouTube weapon reviews are informative and funny; Stefan “Datto” Jonke, a font of Destiny knowledge who is adept at tackling the game’s most well-hidden secrets; and SirDimetrious, a taciturn sniper whose PvP montage videos are probably the most impressive Destiny things I’ve ever seen. Over email, I asked each of them about the current state of the PvP meta, the best classes and maps, Bungie’s willingness to listen to player feedback, and what the future of the game might hold. I’ve edited their responses in places for clarity. 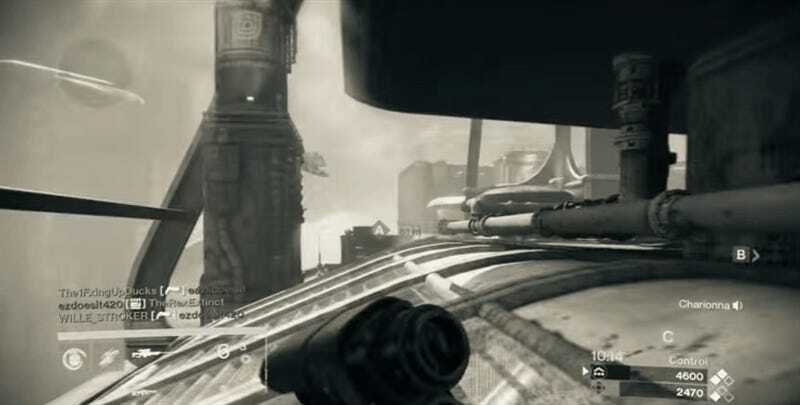 In any competitive PvP game, the “meta” is the agreed-upon most effective combination of weapons, classes, and team makeup. At any given time, almost every competitive game has a dominant meta. Overwatch has one for the strongest characters, and Hearthstone for the best decks. Gears of War has one for the best guns, and Battlefield 1 for the best vehicles and classes. Destiny is no different, so I started off by asking everyone what they thought of the current meta. All four guys had slightly different takes on the current meta, some more positive than others. “It’s definitely not perfect, but I think weapon balance is slightly better than it has been before,” said Datto. Most everyone agrees on the current favored PvP guns: Crucible is dominated by fast-firing pulse rifles like Blind Perdition or The Clever Dragon, the occasional rangey hand cannon like The Palindrome, and high-impact shotguns like Matador 64. Datto and Mr. Fruit both run with Blind Perdition in their primary slot, and I’ve frequently seen TripleWreck running the similar Grasp of Malok as his primary (with a roll I’ll forever be jealous of). Mr. Fruit and TripleWreck say they’ve been using sidearms as their special weapon. Because high-level players are so skilled, they’re able to have success with whatever weapons or subclasses they choose to use. They’re certainly aware of the meta and are willing to switch things up when the chips are down, but they could probably beat most of us with a random crappy auto rifle and a clunky blue sniper. I asked each player for their favorite moment in meta history. “The Thorn meta will forever be the most fast-paced meta with the sharpest learning curve and skill-gap,” said SirDimetrious, referring to the summer of 2015 when Thorn and The Last Word took all comers and the Blink jumping ability had not yet been de-clawed. “I miss when Hawkmoon would absolutely destroy people,” said Datto, calling it his favorite gun of year one. “I think I, like a lot of people, romanticize those year-one metas a little more than we probably should,” he admitted. “I miss the early Suros days because it was basically the only time when auto rifles were truly dominant,” he added, referring to the beloved Suros Regime auto rifle, which was savagely nerfed early in Destiny’s lifespan and never really recovered. Over the last two years, Bungie has issued a number of notorious nerfs—and welcomed buffs—to weapons and subclasses. 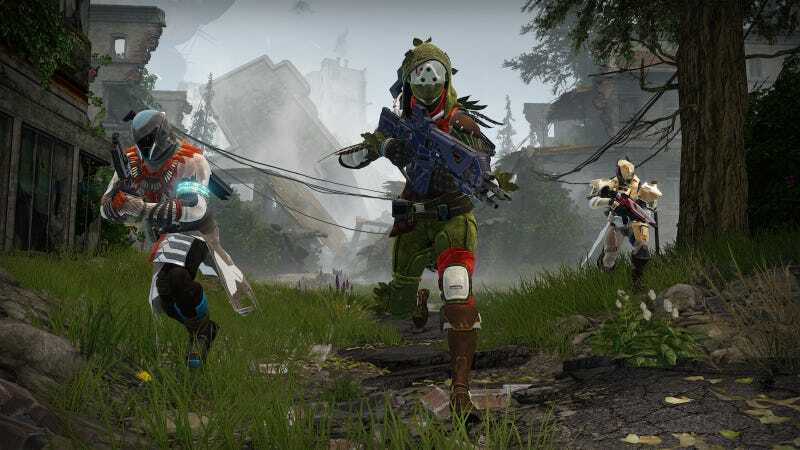 Their goal has always been balance, though a side-effect usually involves a bunch of players holding forth on why Bungie tweaked the wrong thing. Almost everyone I emailed with agreed on one good nerf: The removal of the Shot Package shotgun perk in fall of 2015. That perk significantly narrowed a shotgun’s spread if you aimed down your sights before firing, which led to some outrageous “sniper shotgun” moments. Its removal was a blessing. Each player said they’d welcomed a few other tweaks over the years, as well. Mr. Fruit’s favorite nerf was when Bungie de-fanged the hand cannon Thorn, “because screw that thing.” TripleWreck praised Bungie’s nerfing of the Final Round perk on sniper rifles, and it’s hard to disagree on that one. The meta-story of Destiny is the push and pull between game’s players and its developers. That has mostly manifested itself around patches and changes that closed exploits and changed core functionality in the PvE game. PvP players have their own relationship with the women and men behind the curtain. While Destiny has a lively competitive scene, it’s still regarded as being a ways off from becoming a true esport like Counter-Strike GO or even Overwatch. Datto said two things might be holding the game back from attaining esports legitimacy. “Number one is the random nature of drops and guns,” he said. “If guy A is only able to get a sub-par shotgun because a good one didn’t drop for him, and guy B IS able to get the better shotgun, then A is already at a disadvantage. There’s no way to normalize that in current play other than telling everyone they need to use vendor weapons. “Number two is just pure variance. There are so many abilities and counters that it almost feels like too much to balance for. You look at something like CS:GO, there’s not that much variance. You got guns, they shoot; you have grenades, throw them; here’s a bomb, go. There’s no worrying about this guy’s grenade sticking to a player or this guy has a dodge roll, but this guy doesn’t. It is very pure. “Destiny is a mash of a lot of things and competitive players actually have ruled out certain perks from being used in play. That’s due to either an RNG [random number generator] based nature of an event happening (Luck in the Chamber), or something they think is just unfair. That includes exotic armor as well, because certain exotics are just plain better than others. With a year or more until the proper sequel, Destiny’s PvP future is uncertain. Plenty of players will continue to face off in the Crucible, and it’s safe to assume that some of the skills we build up this year will translate over to whatever competitive modes appear in Destiny 2. I asked each player: If they could make one change to Destiny PvP, what would it be? While Bungie hasn’t said anything official about Destiny 2, we’ve heard that the game will be a proper sequel in the vein of Diablo 2, which likely means everyone will have to start new characters from scratch. As well-versed as we’ve all become with the ever-changing nature of Destiny PvP, there’s also something refreshing about the prospect of starting over again.